Mass Literacy is dedicated to providing the state of Massachusetts with a vast array of literacy resources, educational initiatives, and leadership opportunities. The foundation was in need of a website and branding overhaul to reflect its profound growth and outstanding offerings. 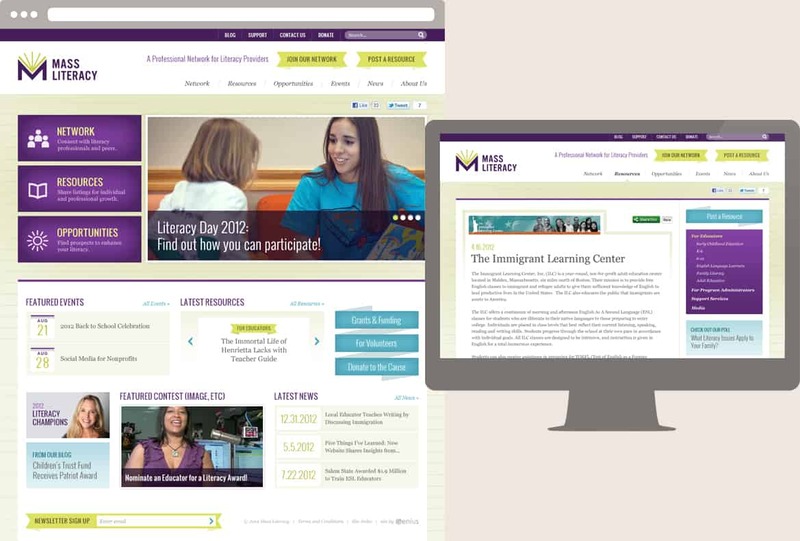 A refreshed brand and color palette, along with a new site design, create a much more agile, robust, and enriching experience for Mass Literacy’s many enthusiastic users.